When it comes to skincare, the more natural it is, the better. I love products which are kind to our skin, kind to the environment and kind to the planet and animals. Although I'm not 100% cruelty free, I do like to change products in my routine for animal and planet friendly products as often as possible, and some products which have been regular and daily features in my routine over the past couple of months, have become quite the staples! Introducing, Yours Truly Organics. 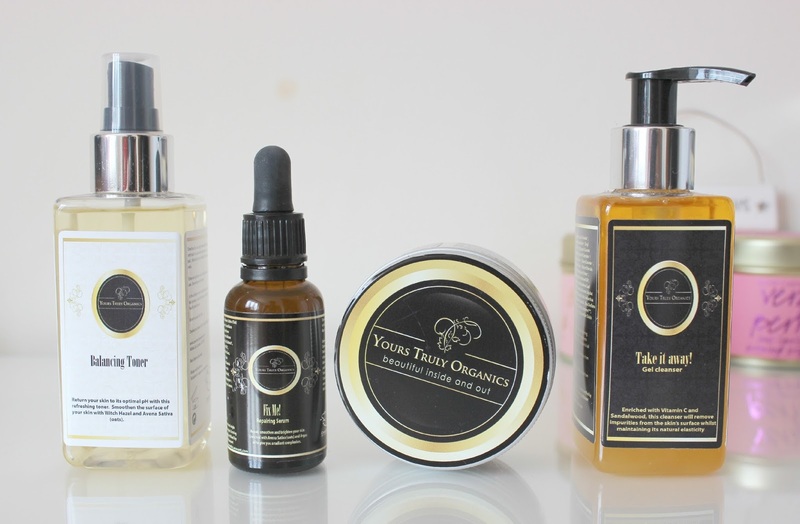 Yours Truly Organics was founded by Kelita Bignall, who knows the importance of clear, beautiful and happy skin and ingredients which are truly good for our skin and what our skin needs, no nasty chemicals to clog up and damage our skin, every product is made with specifically chosen ingredients - you can read more about the ingredients in Yours Truly Organics products here. I really love cleansers which have citrus scents, as I find them refreshing and create as a wake-me-up in the morning. This has a lovely light-weight gel formula, enriched with Vitamin C, which adds a lovely citrus touch, and Sandalwood Oil. It works to remove dirt, grime and impurities from the skin whilst being gentle and helping to promote and maintain our skins natural elasticity. I think it's fab as a morning cleanser, but it's not my favourite for removing makeup. The Take it away! Gel Cleanser is available in two sizes, 150ml at £22 and 200ml at £27. I definitely prefer spritzer toners to ones you have to pour out of a bottle; they're so much easier to use, totally fuss-free and it saves on cotton pads! The Balancing Toner is formulated with Witch Hazel and Aloe Vera, which are loved for their soothing and repairing properties, helping your skin stay at the optimal pH level all whilst improving hydration. The Witch Hazel is a pretty strong scent in this one, and I think it would be more suited to combination or acne prone skin, although it's lovely fresh out of the fridge as a refresher on a hot day! 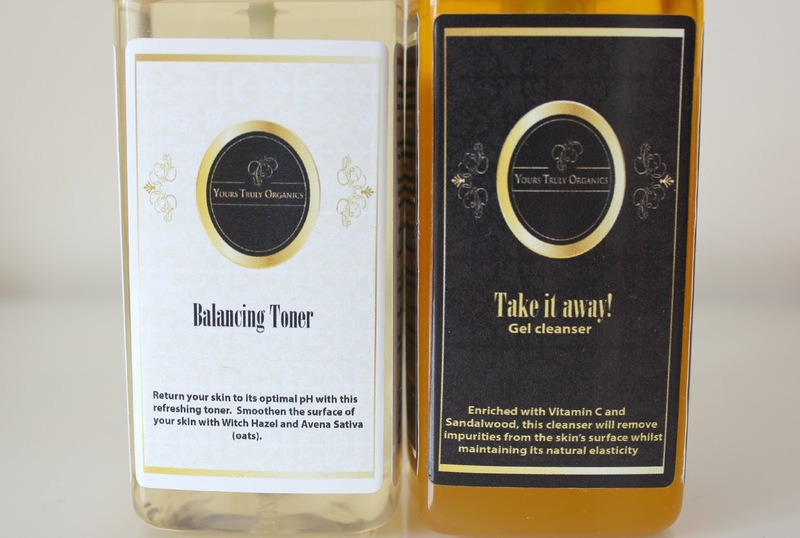 The Balancing Toner is available in two sizes, 150ml at £29 and 200ml at £24. This has such a lovely, lovely scent of orange, and I was completely addicted when I used it exclusively throughout May, and it's one I'm starting to use again now as I've found it is an absolute dream when popped in the fridge overnight and applied in the morning. I am serum obsessed at the minute, and this is just another to add to the list of favourites. Formulated to smooth, repair and tighten and enriched with Oat Kernel, whilst Sesame Seed Extract and Saw Palmetto help to reduce inflammation caused by blemishes. This is easily my favourite product from the range, and has been lovely to use in place of my STREAMCREAM (see review here) as perfect for a day moisturiser-primer hybrid when I want something simple and effective on the skincare side, but also great for priming my skin ready for makeup, extending wear of products. It contains Pea Extract, which improves elasticity and regulates our skins sebum production (great for us oily skin girls! ), alongside Daisy Flower Extract that works to brighten a complexion perfectly. Although not all of the products are perfectly suited to my skin, I think each would work well with combination skin to normal skin. The Face Base Face Balm is amazing for oily skin though, so I couldn't recommend that enough for any oily skin sisters out there! As well as being available individually, you can also try each of the products in the Yours Truly Organics Sample Kit (£5), which contains a 5ml sample of each product within the range, or if you're looking to invest in a full routine or even a gift for a friend or loved one, you can buy the range as the Yours Truly Organics Gift Box (£99) which contains the full range. What are your thoughts on organics skincare? 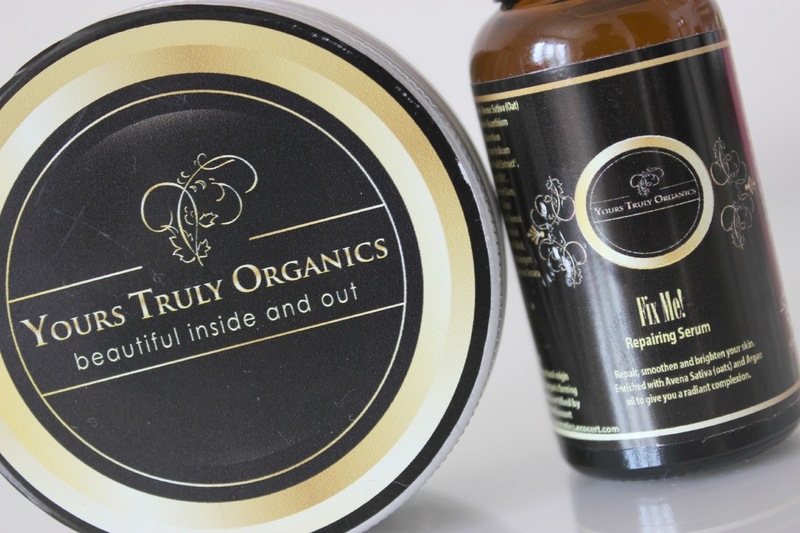 Have you tried Yours Truly Organics before? Let me know who your favourite organic brands are so I can check them out! *This post contains a PR samples. For more information, please see my disclaimer. I've been unsure for a while if organic skincare is worth it, but these do sound good. Plus I love the packaging, looks so classy.